but you are not quite sure why there's a difference? because a lot of it is simply just good psychology and good architecture. 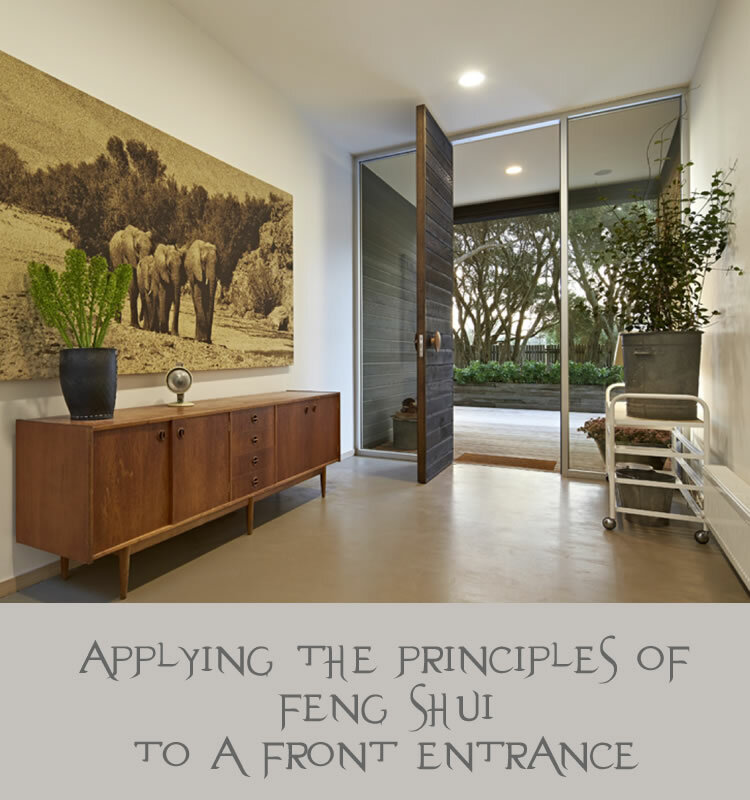 with Feng shui principles…which had to be followed in detail. it was all meticulously planned to create a good flow of energy. I kept thinking how much of it was instinctively "right". in castle design in the middle ages. with the same layout : it creates a sense of security. The easiest way to understand Feng shui is to imagine cartoon characters. and we want to keep the baddies (unwelcome strangers) out. which are represented by the qi or flow of energy. and the inside world, represented by the home's interior. ourselves from the outside world. It becomes a journey…and that's the important part. Which brings us to the front door itself. while waiting in the weather. feel the same way: i.e. welcomed. 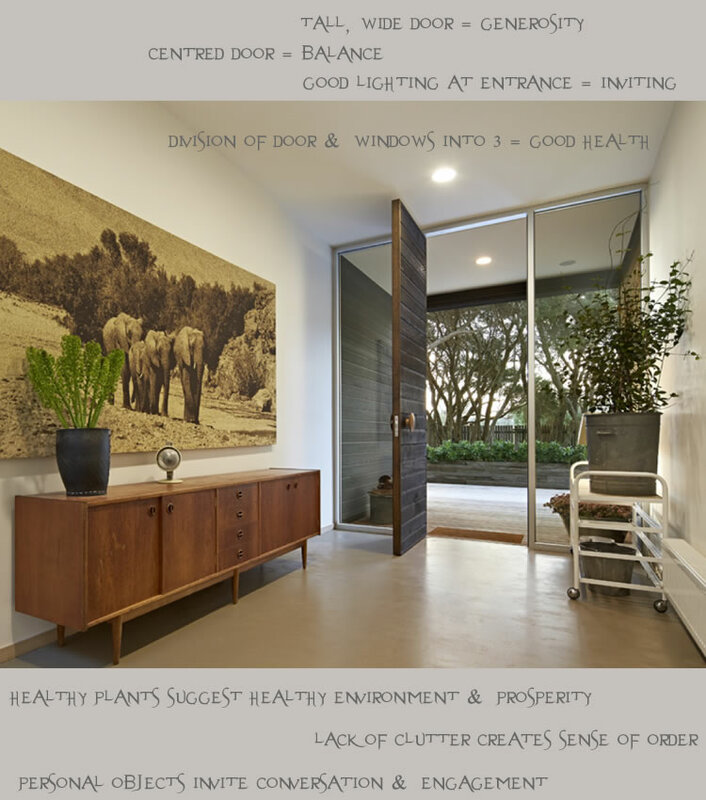 and is commonly used in architectural practice to create a sense of balance. feels "right". It is balanced and simple. but should be wide, spacious and brightly lit to create a sense of calm and order. create a sense of chaos. because it represents a different context from the beach outside. Colours should be light and bright - again to encourage the "goodies"
to want to enter the space because it invokes a sense of happiness. to create a glowing cocoon. it is gloomy. Who wants to enter a space like that? a good atmosphere both figuratively and literally. a sanctuary is exactly what we want our home to be, right? it's highly likely that Feng shui has been at work. which was recently for sale here.